When it comes to a baby's bowel movements, there's no "normal " or “standard” number of times they should defecate— only what's normal for your baby.It’s not only a matter of frequency of stools, but you also need to pay attention to their aspect. If the stools of your baby are hard and dry and cause discomfort, then he/she is more likely to suffer from constipation. • Do not introduce enough fibers to his/her diet after 1 year of age. • Novalac IT contains a balanced blend of nutrients to help in maintaining the transit of food through your baby’s gut. • The type of protein dominant in this formula helps to ensure these bowel movements are not delayed. 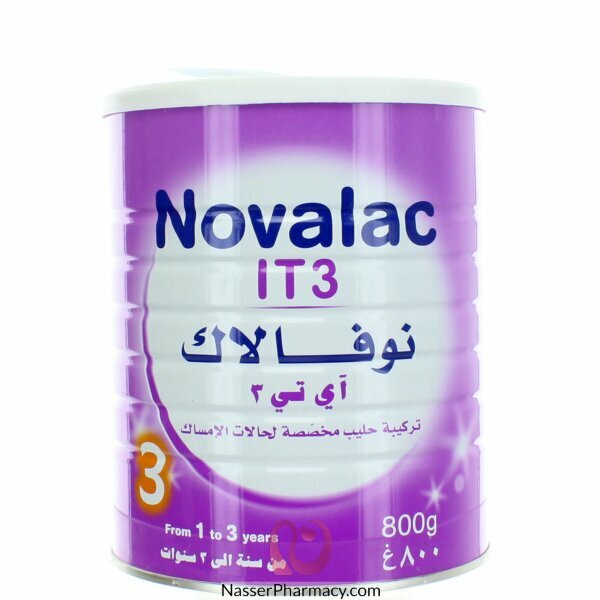 • Novalac IT gently relieves constipation without harsh laxatives and prevents relapse. • Novalac IT is nutritionally complete, thus, can replace a regular formula and ensures optimal growth.